TALE is open to anyone interested in the development of literacy in children, youth and adults. Through conferences, newsletters, websites and journals, this association will provide access to quality information about all of the topics of interest to educators committed to the literacy development of their students. The organization is a recognized affiliate of the ﻿﻿International Literacy Association﻿ ﻿(ILA). 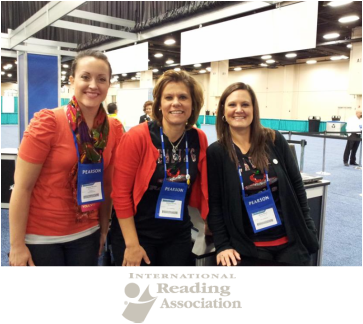 To join TALE, you do not have to be a member of either ILA or a local reading council, although TALE encourages membership in both. A one year membership to TALE is only $5.00. Membership is effective through December 31st of each year. "TALE has a lot of plans for 2013. Among my favorite is the new Journal that will be released!" " One reason that I joined TALE was the 2012 Literacy Summit. I really enjoyed attending and presenting at the conference. But, most importantly I joined TALE because Literacy is so important!" "I will renew my membership because educators need a state organization like TALE to participate in and to keep informed."